I started taking photos with a Brownie Junior camera when I was a little boy, in the 1950's. It was a step up to use an Ansco 120 film camera in the 1960's. As a wedding gift from Diane on our marriage in 1971 she bought a Bell & Howell interchangeable lens camera. They sold out to Canon after awhile. My first SLR was a Minolta Maxuum around 1985. I still use the same lenses, now on a Sony Alpha 99 body. We've had dark rooms in three houses, but now, of course, all is done digitally by a computer. As a couple, and with the kids in tow, we've visited all 50 states and 23 countries, and the international list continues to grow. So on this site I have some travel and landscape images from various trips we have taken. But when I ventured into model Portraits in 2007, another dimension of photography opened up for me. That lead to 12 years taking commercial head shots in additional to commercial real estate. I've worked with over 140 models, coaching them on poses and creating some spectacular images. My home has an indoor studio located near Cortaro and I-10. 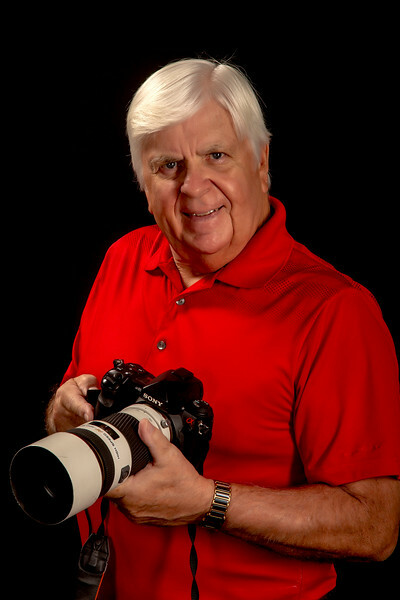 I use various backdrops, a natural light picture window, and studio lights both indoors and outside for control of lighting, even in bright sunlight. Some of my work has been published into books through www.blurb.com (search Yeaglin).